In 2012, Spanish became the second most widely spoken language worldwide and the third most used language on the Internet. We are almost 500 million Spanish speakers who use it either as a mother tongue, a second language or a foreign language. In fact, its boom is so great that there are countries lacking teachers to meet such a strong demand. However, it must be highlighted that Spanish, as any other language, has its different varieties, according to the geographic area we are located in. We are not merely referring to the varieties of Iberian Spanish, but also to those present on the American continent. For instance, we will not hear the same Spanish in Mexico, Argentina or Cuba. There are many differences between the Iberian and the Latin American Spanish varieties. There are, for example, phonetic, lexical or morphosyntactical differences that make them sound quite distinct from Iberian Spanish. What is more, there are differences between the Latin American varieties as well. Thus, if an Uruguayan hears an Argentinian say “Quiero comer facturas” (I want to eat invoices), they do not have to run out. What they mean is that they want to eat pastries. Therefore, the relevant question would be as follows: Is it necessary to adapt the texts and translations to the different language identities of Spanish? On the one hand, we could think that this is not necessary, as we can understand each other to a lesser or greater extent. But the fact is that there is a Latin American Spanish which is spoken and used in those countries; thus, is it not commercially strategic to address your audience in their variety for them to identify with your product? With the aim of expanding into new markets, we have noticed a substantial increase in clients requesting translation services while taking into account the geographic location of their target client. This response to a commercial strategy denotes thorough prior work, in which the company in an internationalisation process is very clear about which audience they want and must address, how they are going to do it and which products or services they are going to offer in the new country. 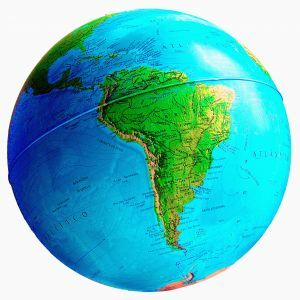 Occasionally, they decide to export to Latin American countries precisely because the language barrier is not that big and the apparent need of not having to translate all the documentation, as well as the website, appears as a substantial cost-saving measure. That is so. At any rate, if we have to start from scratch, let us try to bear already in mind that possible target audience to draft the texts in a standard international Spanish which may help eliminate any possible language barrier. The translation service companies increasingly offer the service of adapting texts to language varieties. Said service is offered precisely based on the growing need to export products and to internationalise companies. It is recommended that you always know the audience which the text is aimed at when requesting the translation service. For instance, if we know that our text is going to be published only in Mexico, it is highly recommended to translate it bearing in mind the terminology used there, for which purpose we will rely on native-speaking translators from the region we are aiming at. Likewise, if you know from the very beginning that your text is targeting a more global market, tell the company as well. In this case, the best thing to do is to translate it both into the Iberian and the Latin American variety. In order to reduce costs, request the translation to be done into one of the two varieties and, then, ask for it to be adapted to the other. At last, if you are unclear about the audience or if you want to avoid having to adapt texts in the future, the best option is to ask the translation company to translate the text into international Spanish. The important thing when requesting translations of documents or websites is to know where the product is going to be sold, which variety the prospective clients use or which sales percentage represent the clients of a specific country. If you know the answers, it will be easy to determine the best translation option for your texts. In case you are unclear about it, let your translation company know. They will suggest the most recommended option to translate your documents and website. Alba Pérez-Ventana, project manager at Planet Lingua.